So You Think You Can Mom? 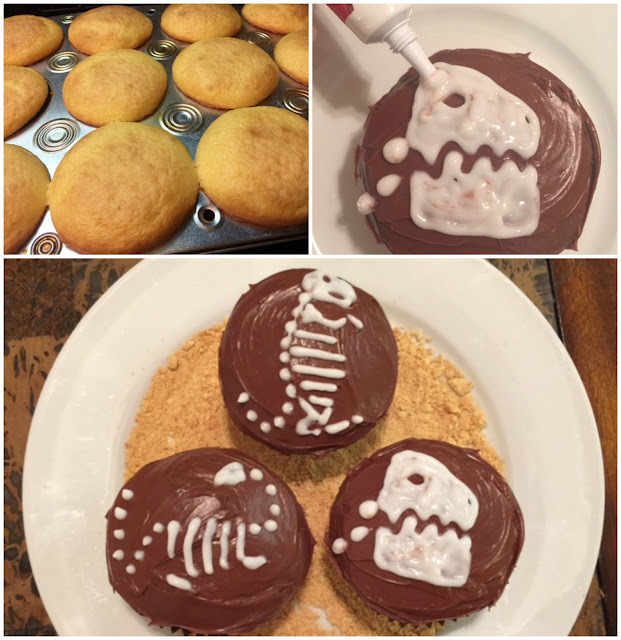 : Fandango Family: The Good Dinosaur Inspired Dino Cakes! Fandango Family: The Good Dinosaur Inspired Dino Cakes! The Good Dinosaur is a heart-warming story about a young dinosaur named Arlo and his unlikely friendship with a little boy. With The Good Dinosaur gearing up to hit theaters this Thanksgiving weekend, I decided to bake a dozen Good Dinosaur inspired cupcakes. 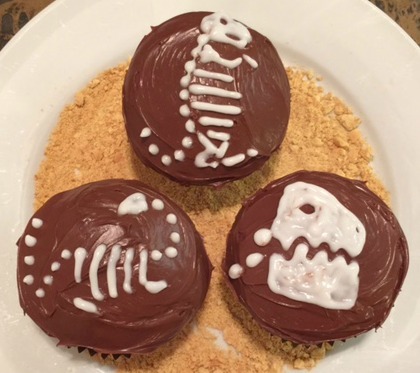 I've made skeleton cupcakes before so how hard could dinosaur skeletons be? Top cupcakes with chocolate frosting. Make sure to have a nice smooth surface of frosting for the bones. Using the white cake gel, make little dinosaur bones. It's really easy and turns out super cute!